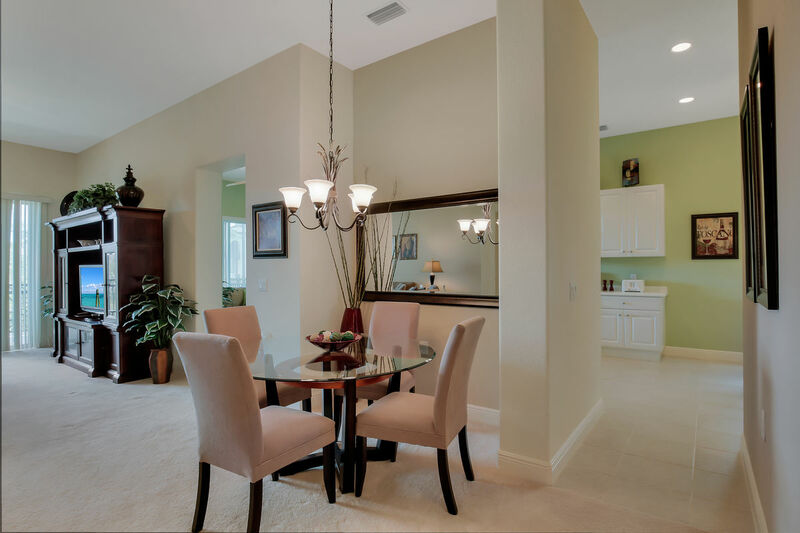 This beautiful Coach Home is located in the prestigious Fiddler’s Creek community in the Marengo neighborhood. 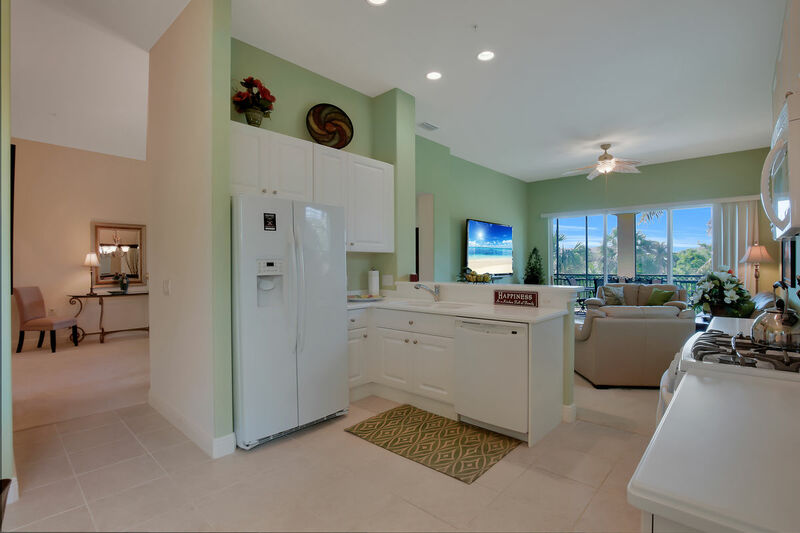 This 2nd floor unit has 3 bedrooms, 3.5 bathrooms, and 2,599 sq. 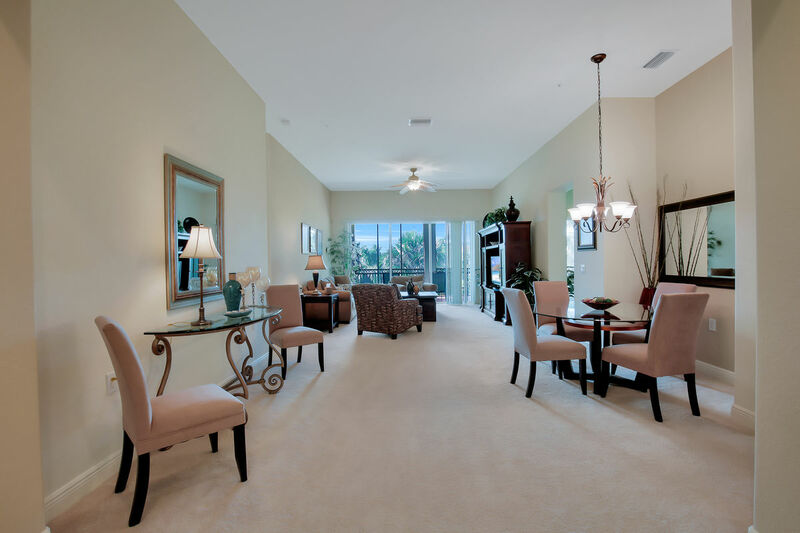 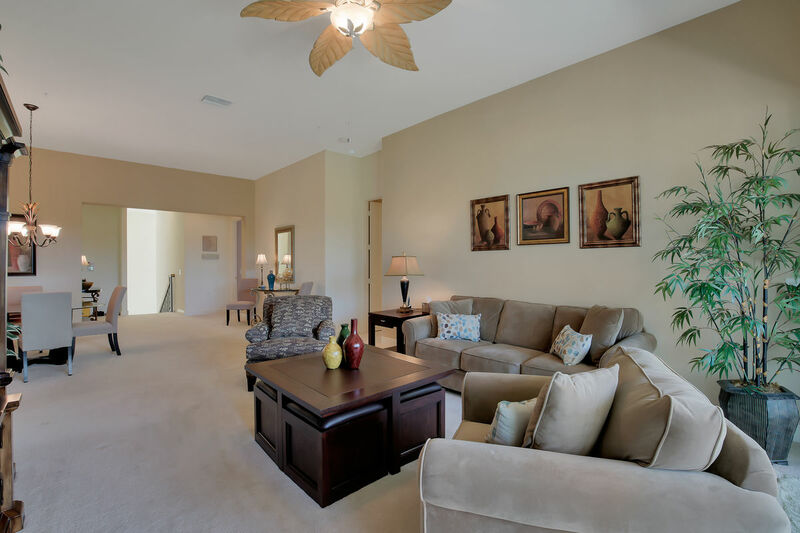 ft. of living space which provides you with plenty of room to entertain your guests! 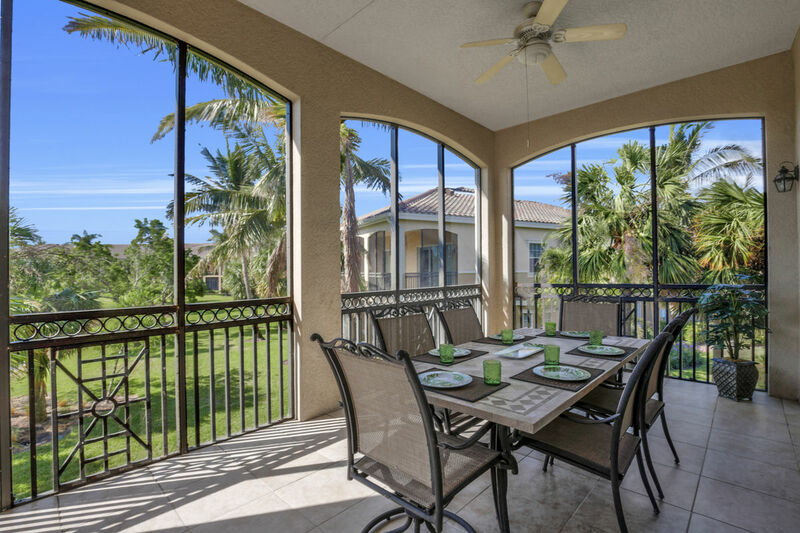 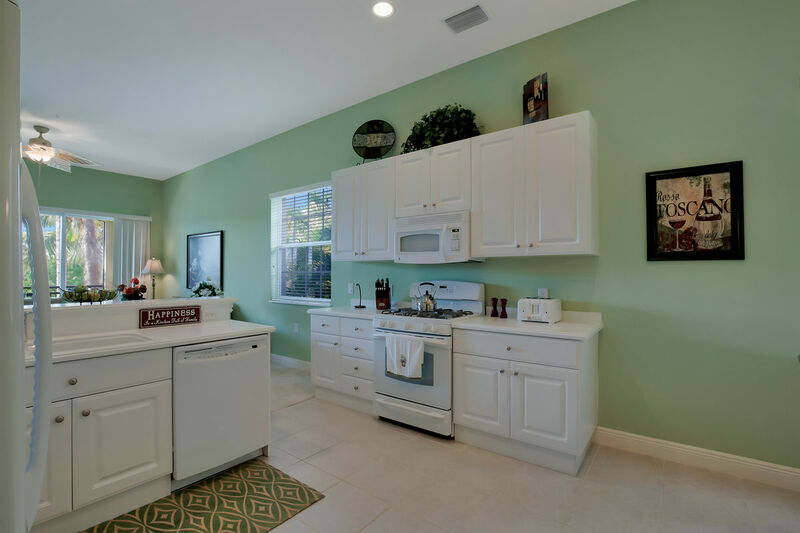 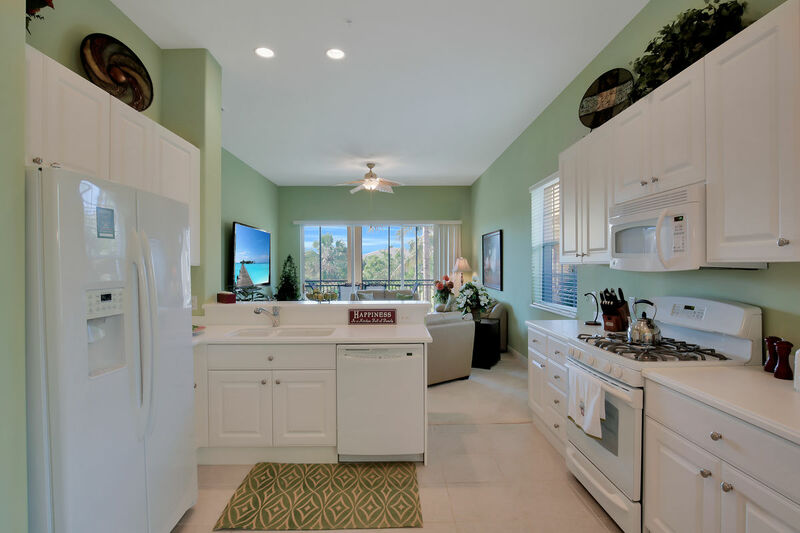 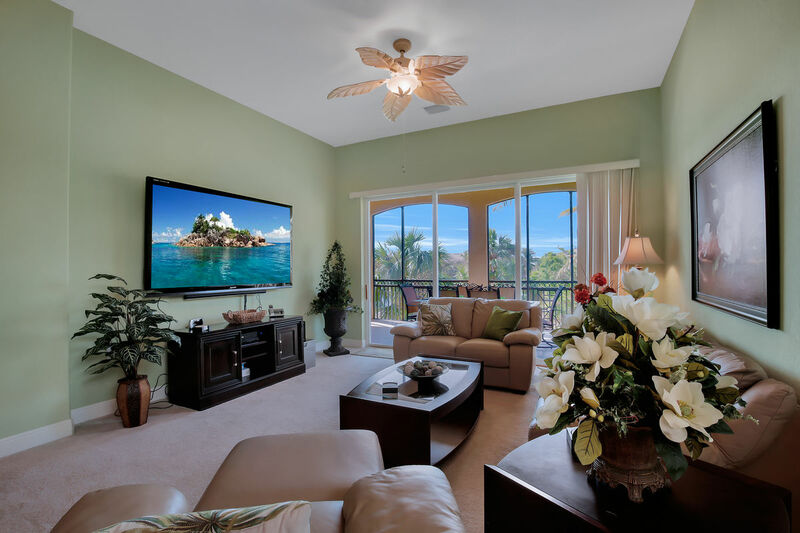 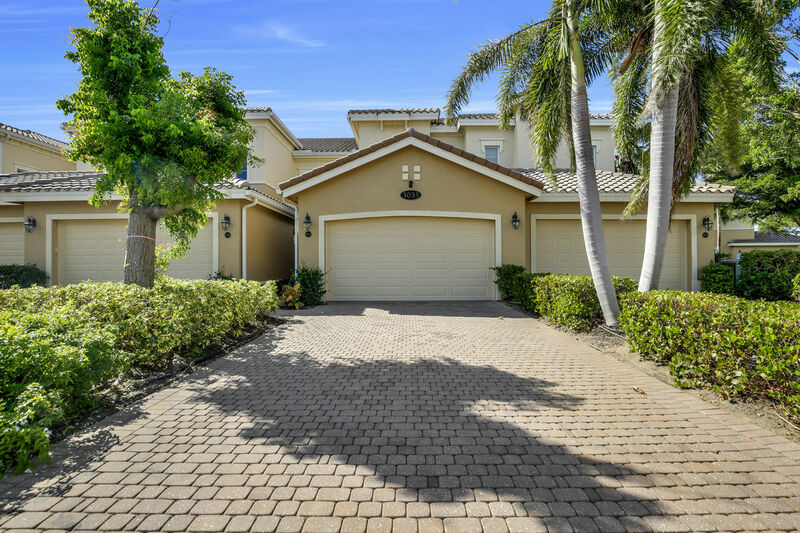 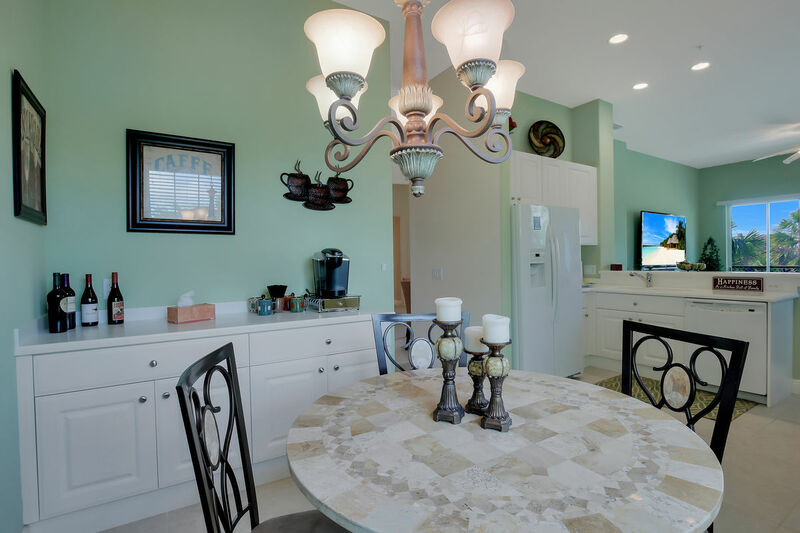 You can enjoy a beautiful lake view and lush landscape views from the lanai, which has a dining table with seating for 6, as well as 2 lounge chairs. 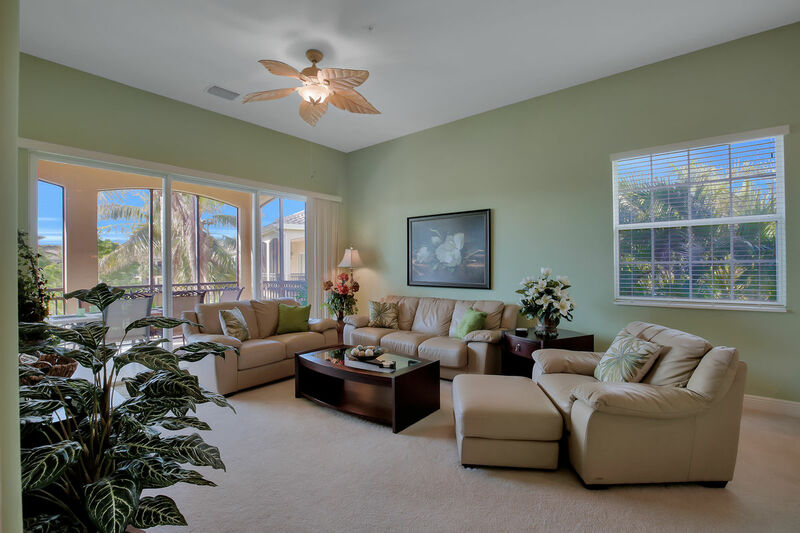 The home has been tastefully decorated with beautiful furniture which gives it a nice, homey feel throughout. 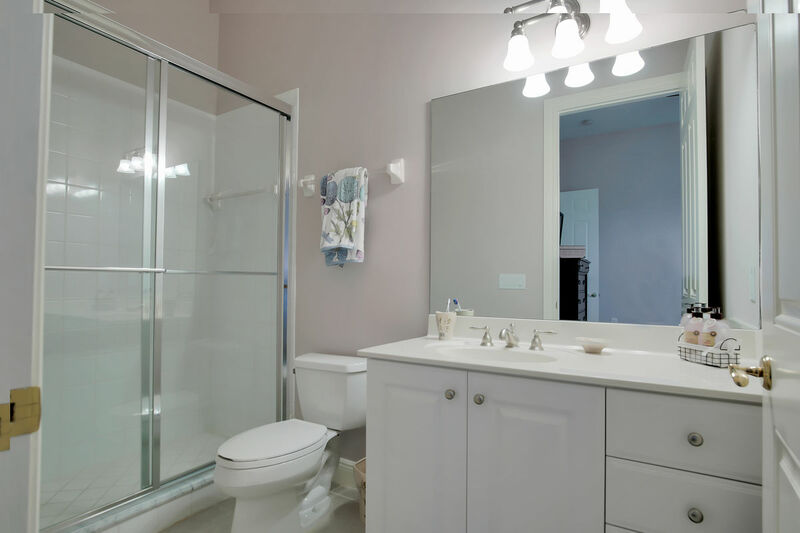 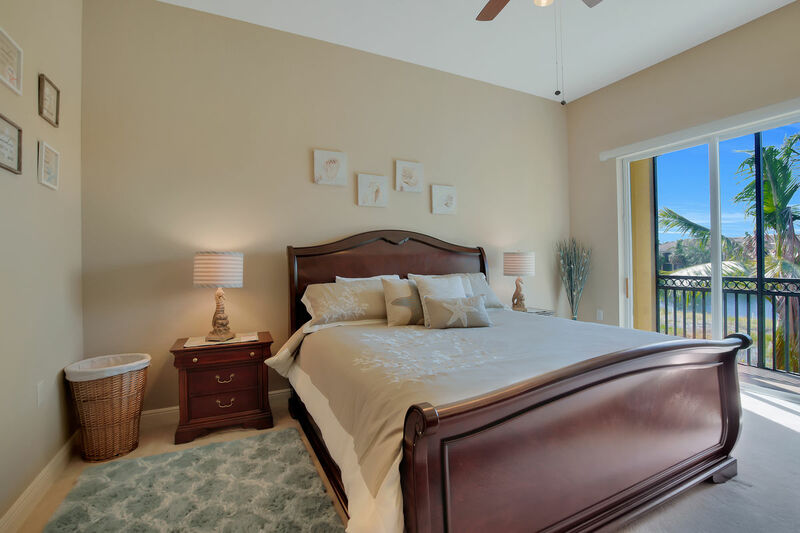 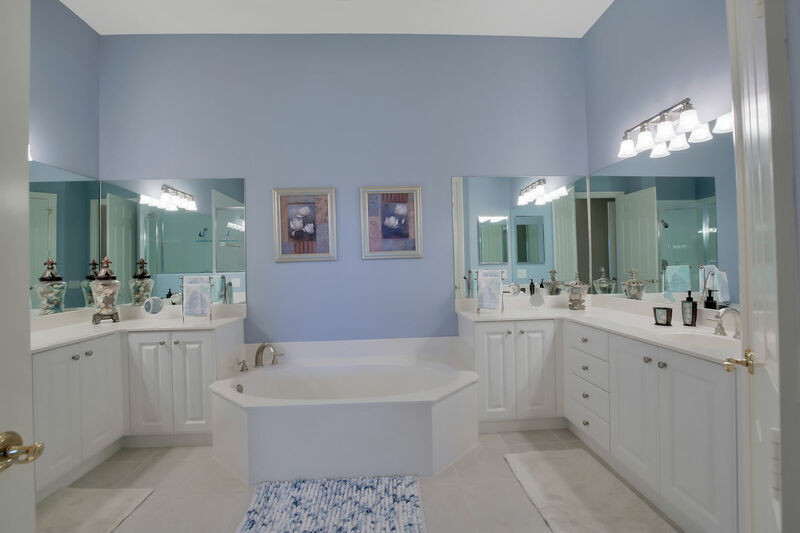 The master bedroom features a beautiful King size bed with a balcony overlooking the lake, and a private master bath with a separate tub and shower, and his and hers sinks. 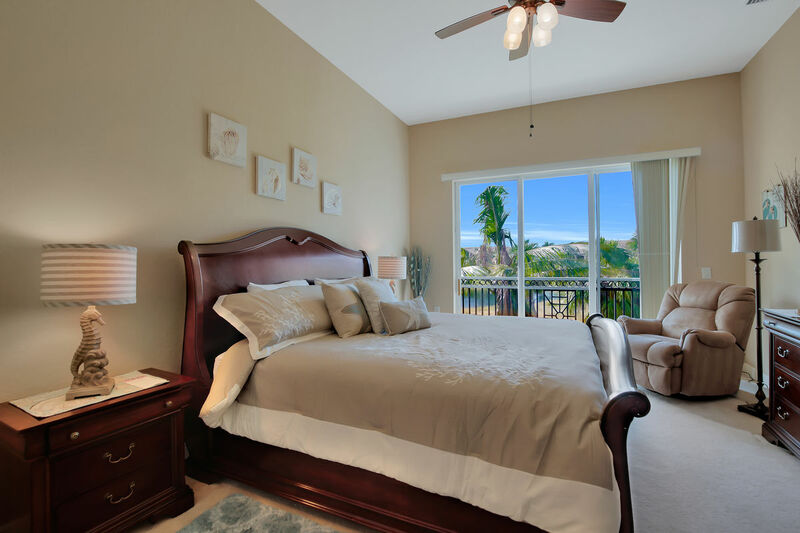 The first guest bedroom has a wooden Queen size sleigh bed, giving the room an elegant, yet relaxed feel. 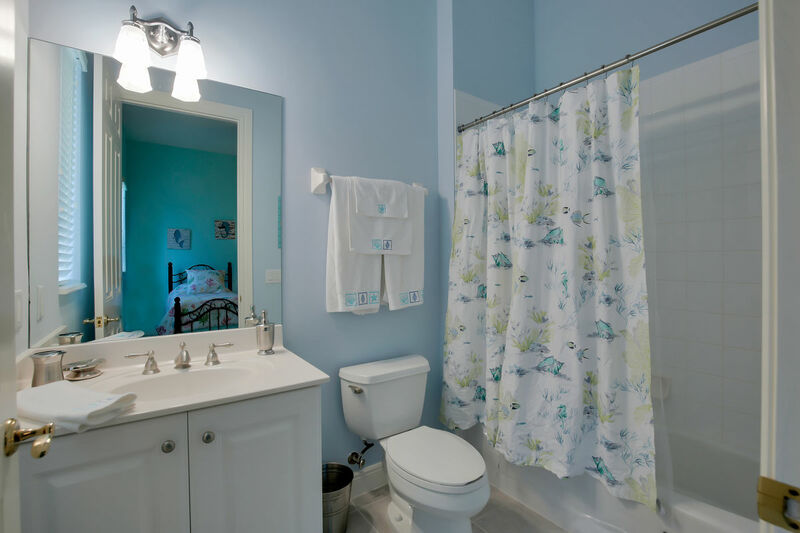 This bedroom also has an on-suite bathroom. 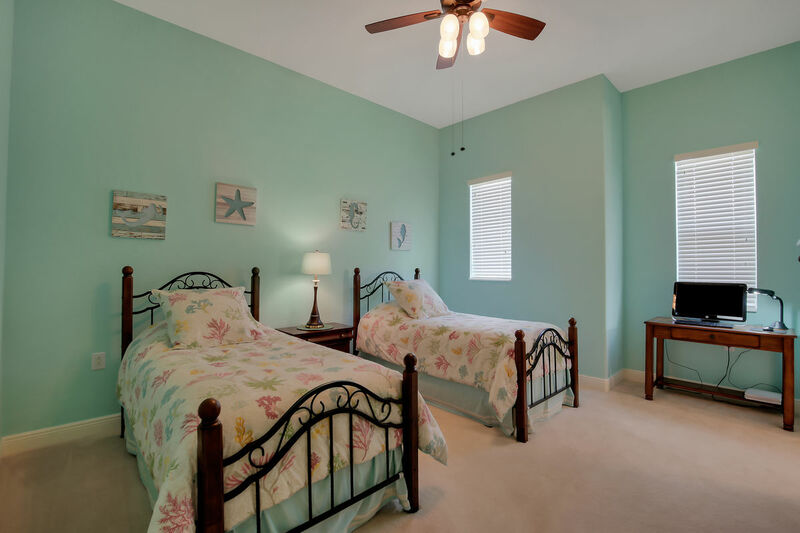 The second guest bedroom has 2 twin beds and a large walk-in closet, as well as its own private bathroom. 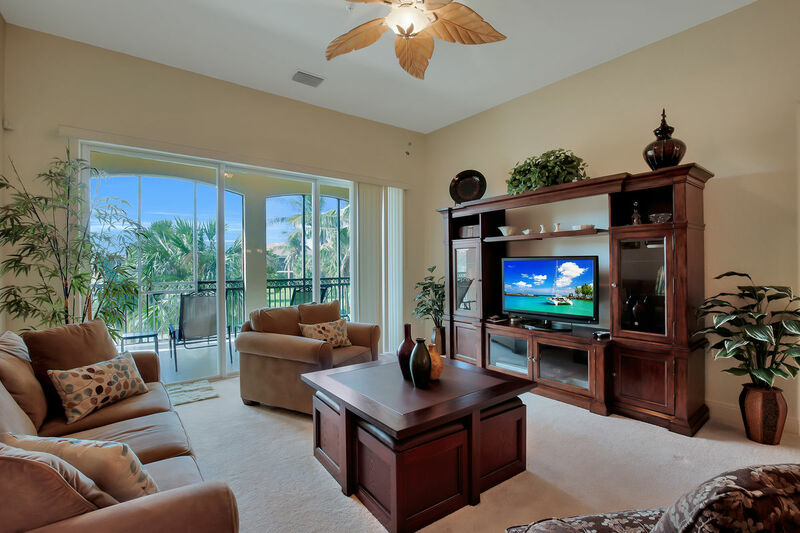 The condo was well appointed and 5 large screen TVs were a definite bonus. 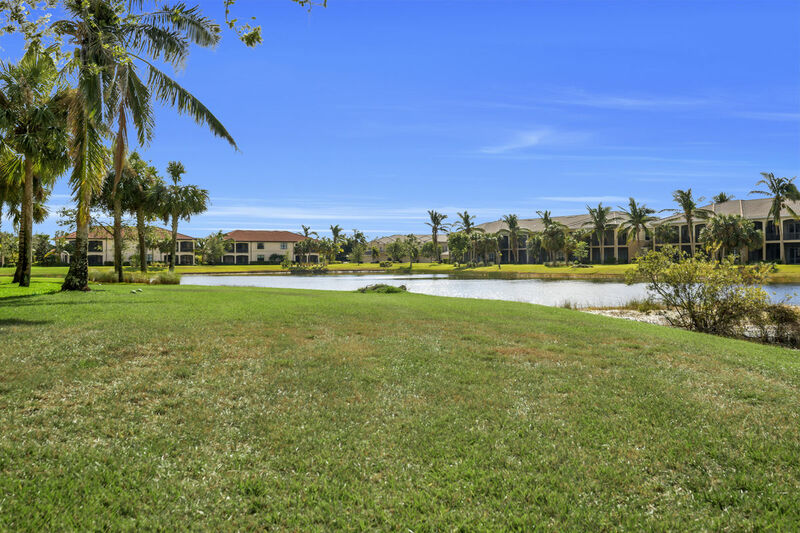 The location directly across from the community pool made for easier access. 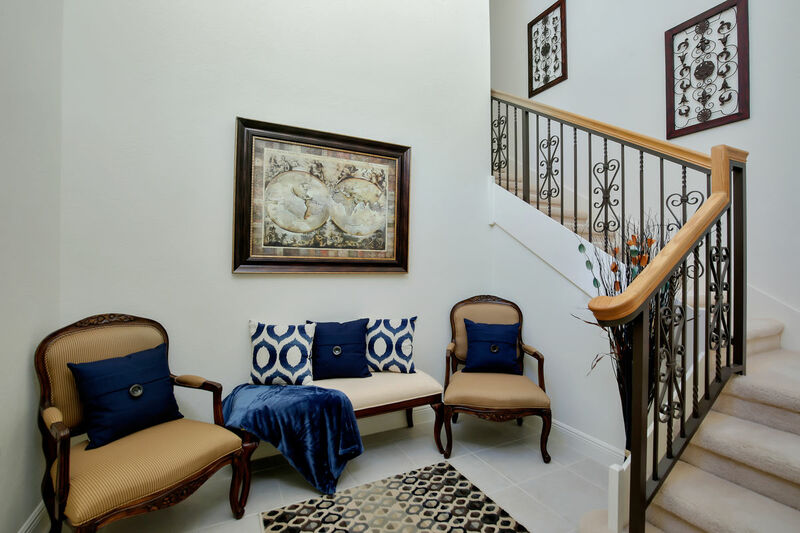 The only drawback would be having to move items, luggage up the long flight of stairs. 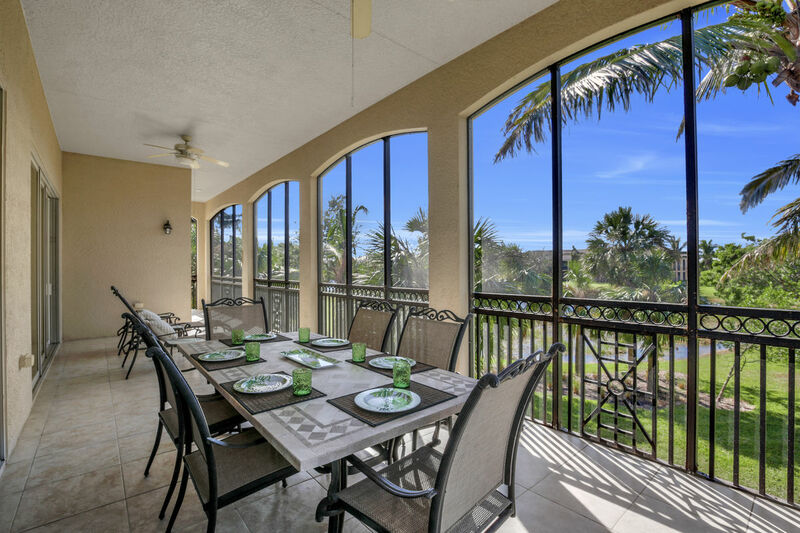 Still a wonderful spot to spend 2 winter months in paradise.